Scott Voelker is the creator of The Amazing Seller brand. He is also the author of Private Label Classroom, a course that teaches people how to sell products on Amazon.com. Scott Voelker admits that he got his entrepreneurial spirit from his father. He taught Voelker from a very young age the value of following your dreams and then working hard to make those dreams a reality. Voelker grew up much like any other child from a middle class home. He married as an adult and had three children. Scott Voelker also had a passion for photography in addition to entrepreneurship. He and his wife operated a successful photography studio. Their business was doing well. However, Voelker was itching to start a side hustle. Being a photographer, it made sense for him to start something photography-related. So in 2008 Voelker started selling information products on photography via the Web. His products and his brand, New Portrait Biz took off. Soon his side hustle was a full time business itself. How Did The Amazing Seller Start? Like many entrepreneurs, Voelker’s mind was always swirling with new business ideas. It was 2014 and Amazon selling and buying was exploding exponentially. The idea of sourcing low-cost goods overseas, private-labeling them with his own brand and selling them for a profit on Amazon appealed to him. A huge fan of podcasts, especially those on the topic of entrepreneurship, Voelker searched the Web for podcasts on the subject of private label FBA (“fulfillment by Amazon;” we’ll explain this in more detail later in this review) but couldn’t find any. So he decided to start his own podcast on it. He began tracking down others who were already successfully selling private label goods on Amazon. He recorded dozens of interviews with Amazon entrepreneurs and hoped that he might get a few hundred downloads. Instead, his podcast exploded. He has had more than 9 million downloads of his podcast as of 2018. What is The Amazing Seller? Scott Voelker felt that his next natural business move was to compile the wisdom of those he interviewed, as well as his own experience, into something marketable. He created The Amazing Seller along with supplemental resources, in 2015. 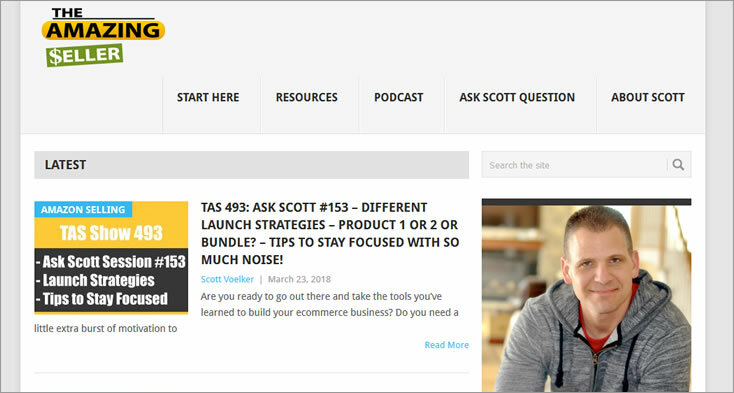 The Amazing Seller brand is comprised of a regular podcast, a blog, supplemental resources for sellers and the course developed by Scott Voelker, The Private Label Classroom. What is the Private Label Classroom? This refers to the practice of purchasing some type of product/goods at wholesale prices and putting your own brand on it. This is an alternative to manufacturing products yourself to sell. For example, let’s say that your niche is toys. You purchase 10,000 fidget spinners at cost from a supplier in China. You then label them with your own brand (“private label”) called “SpinDoctor.” Now it looks as if you manufactured them yourself, and you then turn around and sell them on Amazon.com for twice what you paid for them. This is a program for sellers designed to make it easier to ship their product. Launched in 2006, it is essentially a drop-shipping program administered by Amazon. The vast majority of Amazon sellers are ordinary people who work out of their homes. The problem for many of them before 2006 was that they didn’t have enough room to store their products during the marketing phase. This limited them in terms of how many units they could actually purchase. Not being able to buy in larger quantities meant they had to pay more per unit. Or, alternatively, they were forced to rent storage space. Either way, it meant they had to charge buyers more for the products. This changed when FBA was introduced. Now sellers could purchase goods in greater quantities. Instead of having to store them themselves, they simply had them shipped to an Amazon warehouse. Then, when a buyer ordered one of the items, it would be Amazon that shipped that item to the customer. How Does the The Private Label Classroom Work? Getting back to the course, Scott Voelker teaches students everything they need to know. Students learn how to get started from the ground, up. This module introduces the student to the idea of doing market research to determine the best product(s) to sell. This module teaches participants how to locate wholesalers, mainly out of China, selling cheap goods. This is the step that over-zealous first-time entrepreneurs like to rush through or skip altogether. Participants will learn what is necessary during this phase to ensure successful phase 4. Participants will discover all of the elements of an effective, trouble-free product launch. Now that you’ve launched your product, how do you ensure that Amazon shoppers know about it? That’s what this module is all about. How Much Does the Private Label Classroom Cost? Access to 65 video lessons and worksheets on Amazon and selling-related topics. Lifetime exclusive access to the PL Classroom Facebook page. Here, students can connect and network with others who have taken the course. Exclusive lifetime access to two online monthly Q & A hangouts with Scott Voelker. These live events allow members to ask questions of Voelker and each other. It’s another way for students to connect, network and share tips and advice. Members can also access recordings of past Q & A hangouts. Unlimited access to the class. Students who want to have a refresher can do so at any point in the future. They have lifetime access to the class, including any future new editions. They will also be among the first to hear of new developments in or changes to the Amazon FBA program. 30-day 100 percent satisfaction guarantee. Students who are not satisfied with their course experience can claim a full refund. They can cite any reason, from not finding the course information helpful to simply deciding that Amazon FBA selling is not for them. How Much Money Can be Made With Private Label Classroom? Of course, it’s difficult to nail down a specific figure, given all the potential contributing factors. Naturally, it depends on how hard a seller is willing to work. It also hinges on how much money she has to invest in the business, the effectiveness of the seller’s marketing strategy and the type(s) of products being sold. Finally, it depends on how much time you want to devote to the venture. Some former students only devote part-time hours to their business. Others work at it full-time. Some have even been able to quit their day jobs. However, former students of the course claim to have made six-figure profits in their first year. Voelker himself promises to show members how he went from zero to 40K in 90 days. As part of our research for all of our opportunity reviews, we check out what others are saying. This includes the experiences of students who have taken the course as well as other online reviewers. 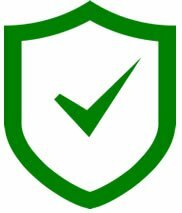 We check out consumer review sites and forums, such as TrustPilot.com, SiteJabber.com, TrustRadius.com, the Better Business Bureau and others. This helps us to get a wide cross-section of opinions. That being said, there were, unfortunately, (or fortunately, depending on how you look at it) no reviews by former students on the course or on The Amazing Seller except on FaceBook. The Amazing Seller has very positive feedback from users of The Amazing Seller Podcast on FaceBook. At the time of this writing it had a 4.9 out of 5 stars. Overall though, there is not much feedback outside of this. There are a number of student testimonials on the Private Label Classroom website itself. However, we prefer to rely on reviews made independently of the interests of the opportunity we are reviewing. You know the saying: “no news is good news?” It has been our experience that people are more likely to post a review when they are unhappy or have had a bad experience with a particular course. The fact that there are no reviews on the Web (despite the fact that the course has been around for a few years already) may be a good sign. It is likely that there are far more happy than unhappy customers. 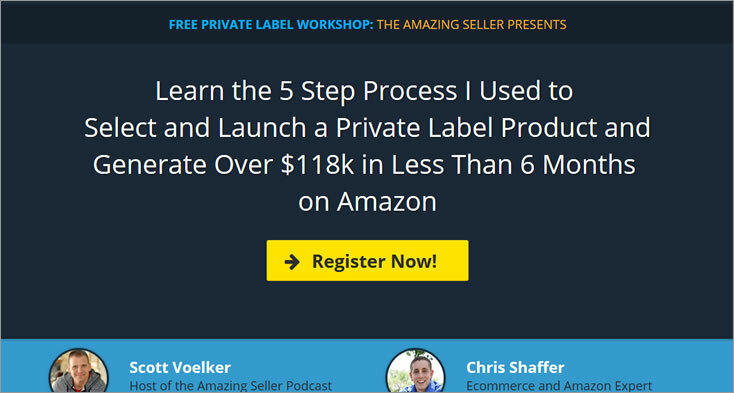 We feel that The Amazing Seller/Private Label Classroom is one of the better Amazon selling courses out there. We’ve researched several of them and believe that the content and format of this course is at least as good and perhaps better than some competing courses. We appreciate that the language used in this course is succinct and easy to understand. Scott Voelker doesn’t use a lot of “mumbo jumbo” in the writing. He speaks in layman’s terms and adequately explains terms or concepts that might be foreign to students. We also feel that the information is practical. Students can walk away after taking the course and know exactly how, step-by-step, to plan and launch their business. About the only thing we have trouble with here is the price. 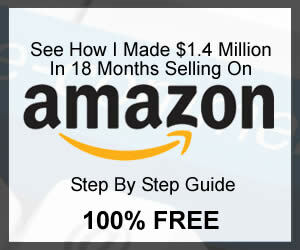 It is more expensive than 5 of the competing Amazon selling courses out there. Even if the information is sound and easy to digest, is it really worth $1497? The real nuts-and-bolts, practical information the course contains is essentially the same information in all of the other, competing courses. In fact, much of the information contained in it as well as competing courses can be found for free on the Web. Mind you, you would be spending a great deal of time doing research and piecing information together. The time required alone is enough to make many wanna-be Amazon sellers to spend the money to get all of the information quickly, in one place. The information is sound, easily understood and highly practical. We have no doubt that the average person, even the very inexperienced, can use this system to make money. On the other hand, they could also choose to spend less for basically the same information. Although it may be presented in a slightly different way, or perhaps in a bit more formal a manner, with other courses, at its core it is going to be the same. So, what it all comes down to is personal preference. If you connect with Scott Voelker as a person, his mission and his philosophy, then it is probably worth spending the $1497 he charges. On the other hand, perhaps you’re looking to save a few bucks and you don’t really care who the source of the content is because all you want is the brass tacks of Amazon selling. In that case, you may as well choose one of the other courses. At the end of the day, in spite of its price tag, we like Scott Voelker and the course. We are also drawn to all of the free advice and information that Scott Voelker shares through The Amazing Seller blog, The Amazing Seller podcast and the Website. For those reasons, we feel confident in recommending the Private Label Classroom course. 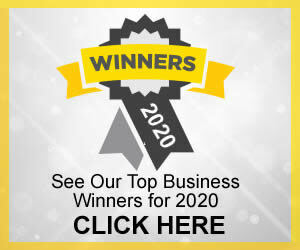 As much as we like The Amazing Seller and Private Label Classroom, we still feel the two best Amazon courses are Proven Amazon Course and The Amazing Selling Machine. Each have been around for many years and have solid proven track records. The Amazing Selling Machine is by far the best and in a league of it’s own, but for the price, the Proven Amazon Course is good for the budget minded.